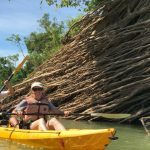 A great 3-day Cambodia tour from Kratie to Stung Treng to explore the villages, jungle, the mighty Mekong. Pass through stretches of the Mekong River with a rich mix of the natural and rustic countryside. 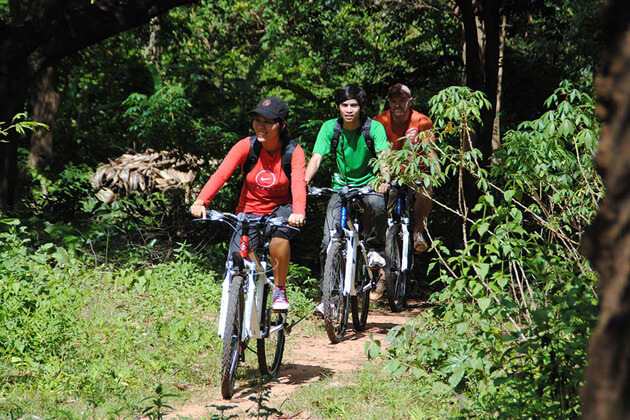 This trail also takes you to 2 biodiversity hotspots’ protecting the nature’s richness. 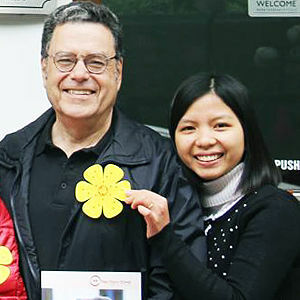 In the morning, the local guide will meet you at your hotel at 8:00 AM. 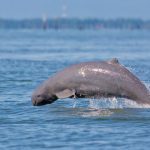 You may start by cycling north out of Kratie on the main road follow the Mekong towards Kampi, one of the deep pools in which the rare river dolphins gather to feed. 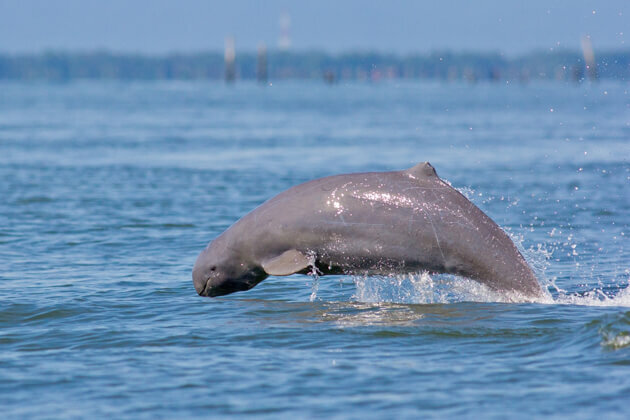 Then board a local boat and cruise out into the mighty Mekong to get in touch with these gentle mammals. After an hour watching dolphin by boat, we keep going through the villages along the river road to Sambor. You should have lunch along the road. 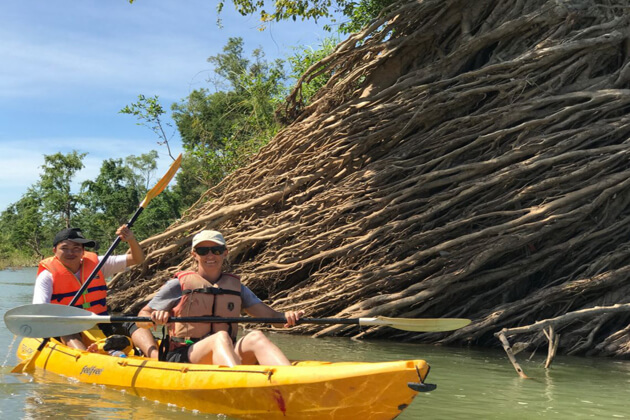 In Sambor, you have a chance to visit the very famous 100 pillars pagoda and get to know about its fascinating history as well as the place of pilgrimage for residents of Kratie. 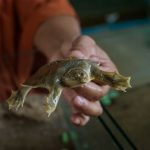 Then we reach the Mekong Turtle Conservation Center to see one of the most endangered Mekong softshell turtles. 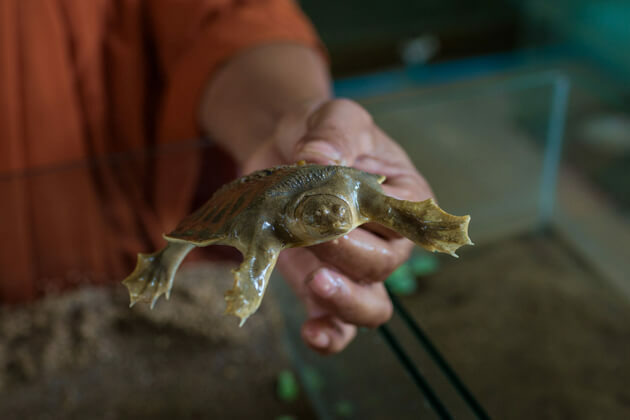 This project takes care of the baby turtle until they can protect themselves from big fish or snack. Take a local ferry to Koh Phdao to spend a night in a wooden home with a local family. For the dinner, you will be served a meal prepared by the locals. After that, we may have a long talk about the Cambodian lifestyle. 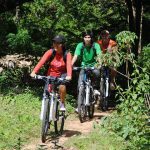 On this day, we will cycle through Koh Rougniv, the biggest Mekong island in Cambodia. The northern half of this island is the most advantageous for the cycling trail. Although there are 4000 residents on the island, only a couple of motos and no cars. The first half is around 20 km towards Khsach Makak, which is a mix of sand and mud, appealing rural sceneries. The other one is cycling single trail track through the jungle. 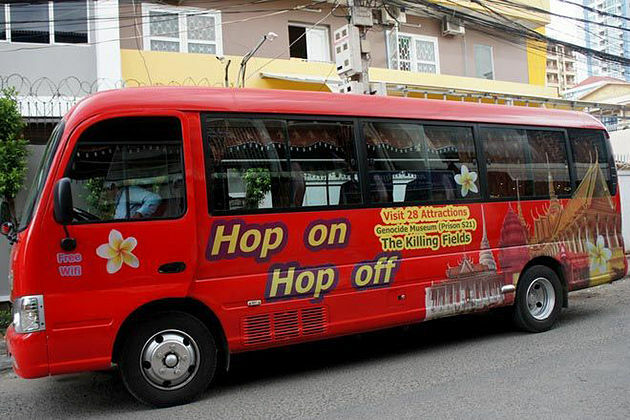 There will be several stops for you to take a rest along the way. 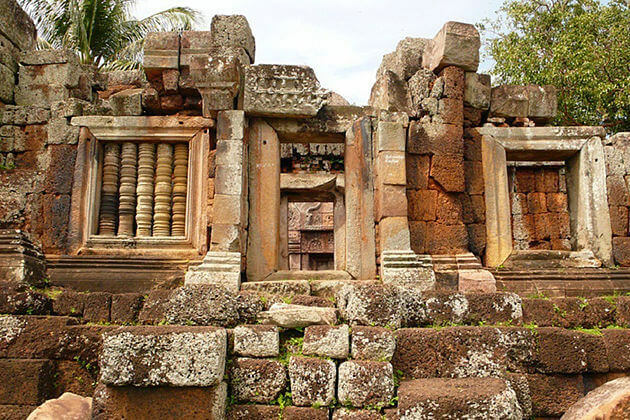 Afterward, we have a memorable night on Koh Preah island in a homestay. After breakfast and say goodbye to the local family, we take a boat to the mainland. 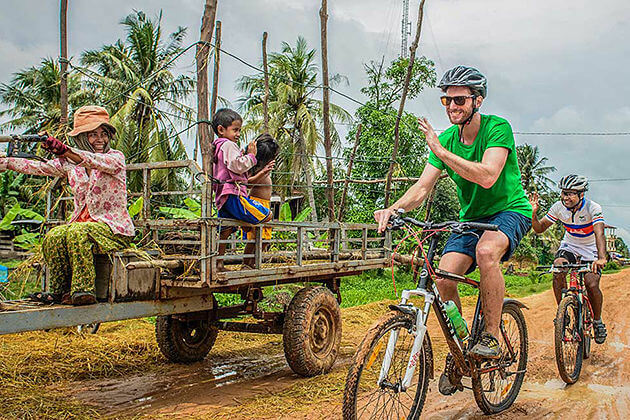 Our cycling tour continues with the eastern part of the Mekong. 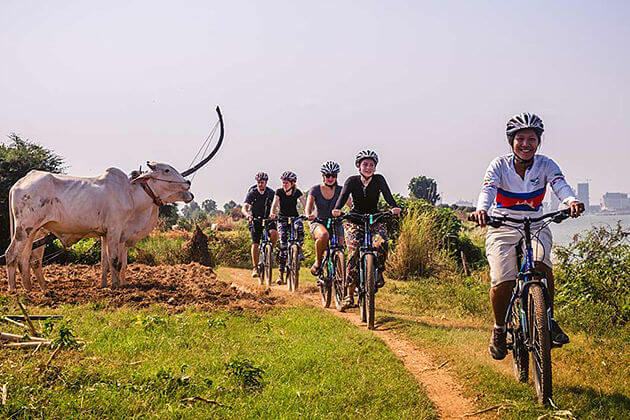 We may cycle along the scenic river route, go through the quiet villages and kayak on river towards Stung Treng. The trip ends on arrival. Keep in your mind that you have been explored the most remote and high biodiversity part of the mighty Mekong. 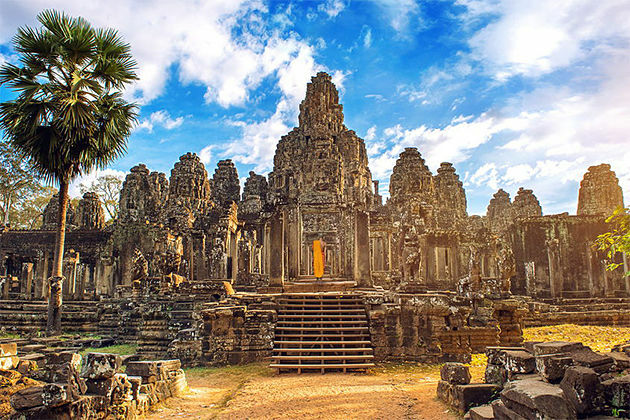 We hope that you have had a fascinating Cambodia trip.